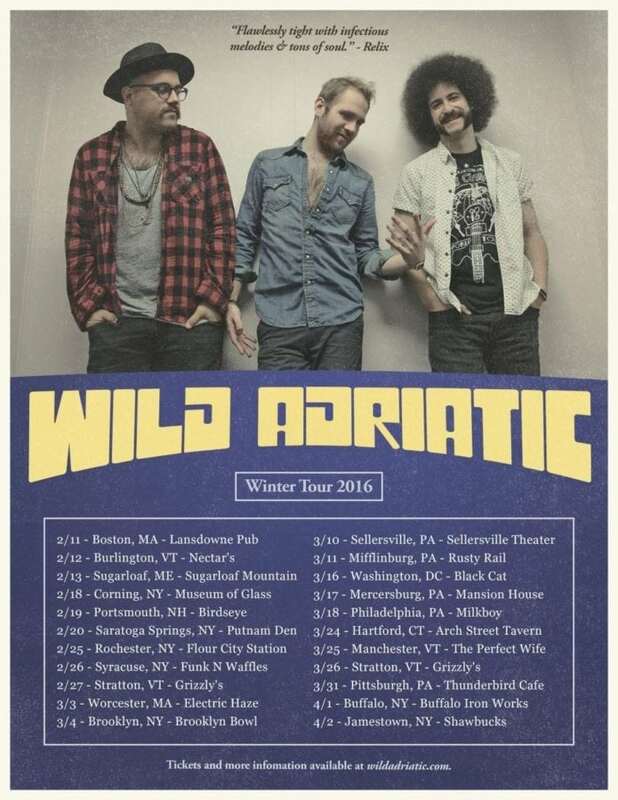 Capital Region rockers Wild Adriatic recently rolled out dates for both U.S. and European tours. The three-piece group will head out on the road beginning Feb. 11 in Boston and wrapping up May 15 in Spain. Fresh off the heels of their debut voyage on the Rock Boat, where they played an all-Zeppelin set and jammed onstage with Sister Hazel, Michael Franti and Gavin Degraw, WA’s upcoming tour includes Northeast-heavy dates with home state stops in Corning, Saratoga Springs, Rochester, Syracuse, Brooklyn, Buffalo and Jamestown before returning to Europe for a four-week headlining run. The blues-rock band consists of Travis Gray (vocals, guitar), Rich Derbyshire (bass) and Mateo Vosganian (drums); supporting groups that will share the bill with WA during this winter/spring tour will be the Mallett Brothers Band, Let’s Be Leonard, Turkuaz, Sister Sparrow and the Dirty Birds, the Suitcase Junket and Animal Years. Tickets for all 2016 show dates are on sale through Wild Adriatic’s official website.